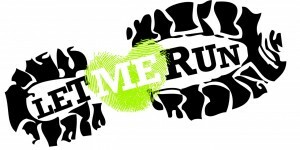 If you have runners in your household, you know that it’s race week for the Let Me Run community. I have two LMR boys participating and it’s game on for them! They have been training for the big event for 7 weeks and the big event is finally here! Join us and the entire LMR community at the Let Me Run SpringFest 5K as we cheer on hundreds of Charlotte boys as they run their hearts out and celebrate their completed season. The race will be held at Whitehall Business Park (3600 Arco Drive, Charlotte, NC 28272) at 9:00 AM. New this year is The Charlotte Mile – the only one-mile road race in the QC! This race starts at 8:00am. There is still time to register and volunteer (perfect end of year volunteer hours for all middle and high schoolers!) – click here for details. Both races benefit Let Me Run, a program that inspires boys through the power of running to be courageous enough to be themselves, to build healthy relationships, and to live an active lifestyle. We hope to see you on Saturday and here’s a huge Smarty C-O-N-G-R-A-T-S to all boys in Let Me Run – we’re so proud of you! It’s #sharkweek at Discovery Place!